Build on what someone just said to offer encouragement and carry it further. 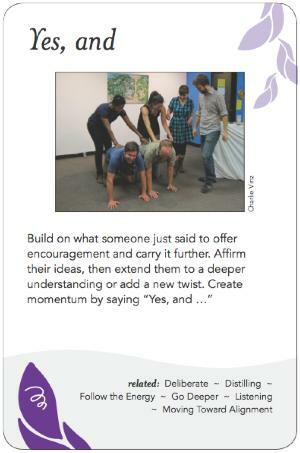 Affirm their ideas, then extend them to a deeper understanding or add a new twist. Create momentum by saying "Yes, and . . ."